Some people are hesitant to install hardwood floors over radiant heat system. 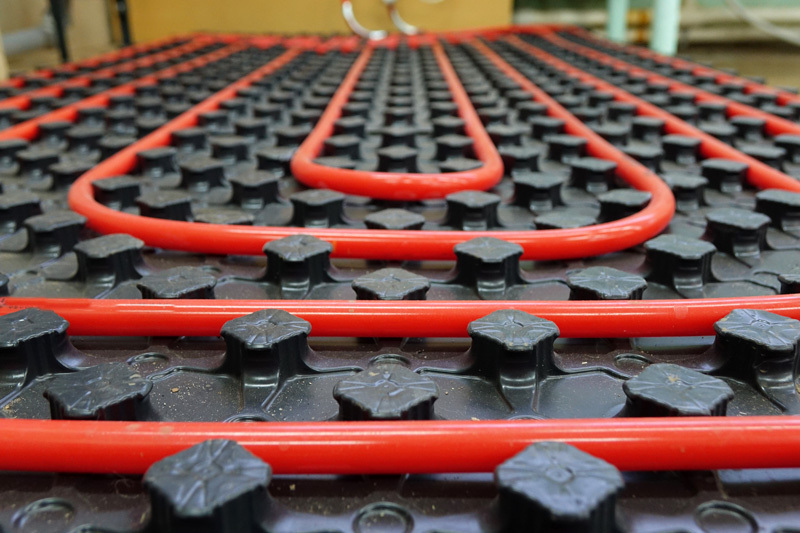 This is due to the fact that radiant heat systems were from the original technology launched more than 40 years ago and aren’t as effective as they are now. To compensate for poor insulation, radiant heat temperatures were higher than normal, causing excessive expansion and contraction in hardwood floors. This resulted in damage to hardwoods and a builder’s reputation. Today, faultless radiant heat installations of fine hardwood flooring are completed over radiant floor heating. 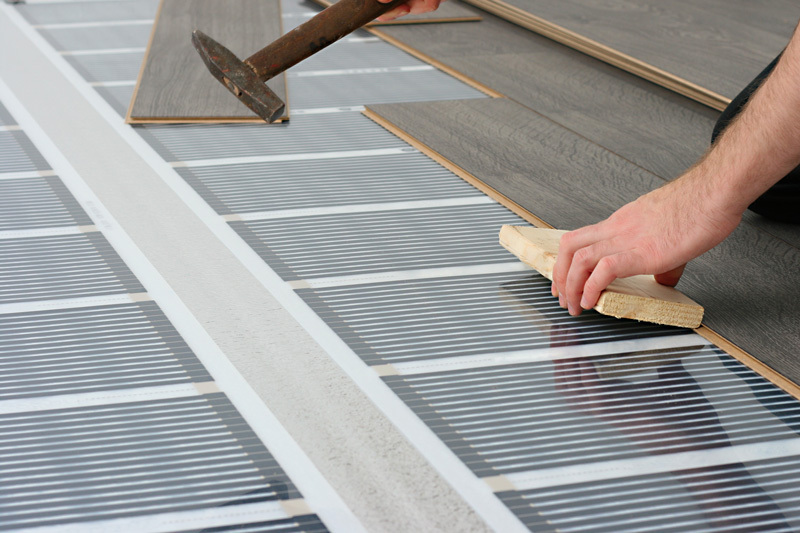 Installing hardwoods over radiant heating systems is really no different from laying a typical hardwood floor. Although the temperature of radiant floor heating will not harm the wood floor, a change in moisture will cause various hardwood flooring to warp, buckle or gap. As the temperature rises, the moisture content generally decreases, and the moisture is removed causing the wood to shrink and gaps to occur between the boards. With lower temperatures, the moisture returns and the gaps close. 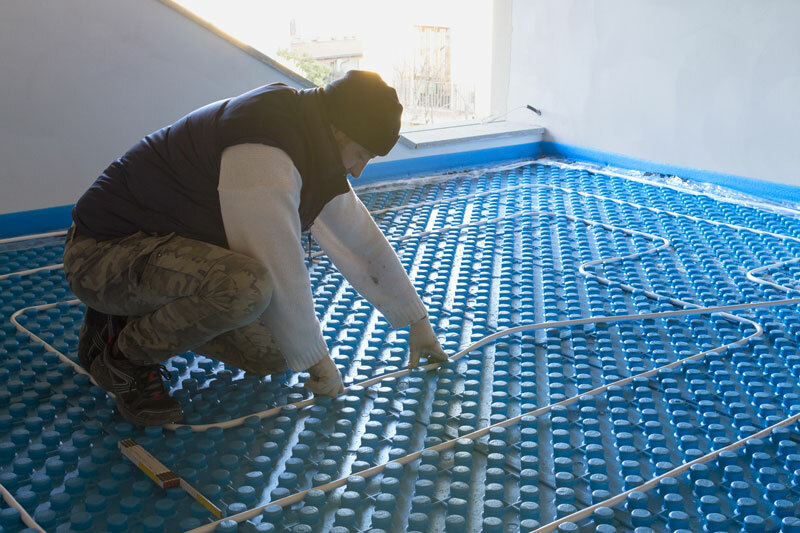 When radiant heat is added to any floor, it’s important to pay close attention to the moisture levels. 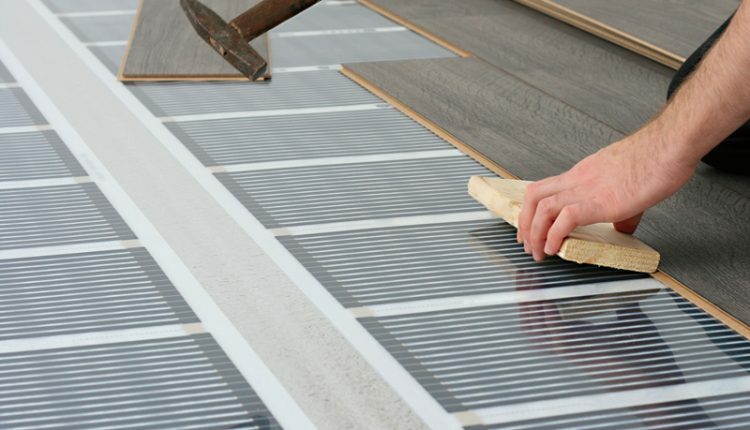 Your hardwood floor installer, and radiant heating systems contractor, should be aware of the special considerations required when using radiant heat in conjunction with hardwood floors. When combined with radiant heat, many contractors underestimate the time it takes for concrete to properly cure. Usually, when the concrete looks dry, the flooring is installed; however, concrete needs to dry slowly and can take up to 90 days. Knowing the exact moisture content is an essential part of quality control within the floor installation process. 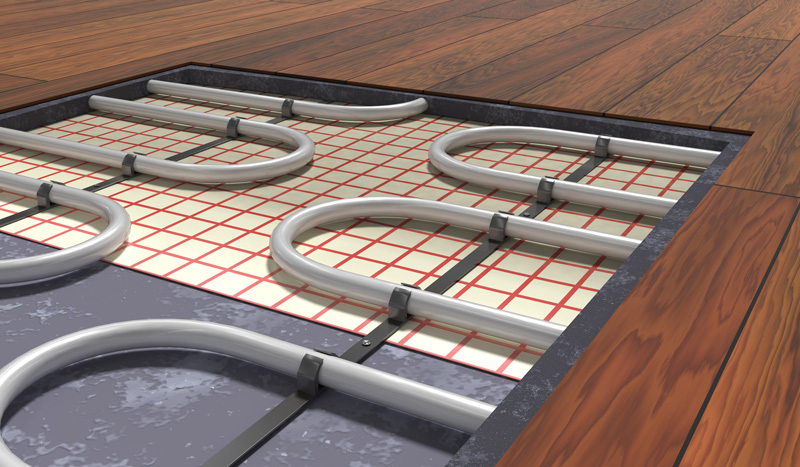 Once the sub-floor, tubing and climate controls have been installed, run your radiant heating systems for at least 72 hours to balance the moisture content. Your radiant heat and hardwood floors need some special moisture considerations. Make sure your installer has a hand-held electrical tool, called a moisture meter. It measures the moisture in concrete and in the wood floor materials, giving the percentage of relative humidity. Make certain the hardwood flooring, the storage space and the concrete slab are normalized or acclimated to the finished room before the hardwood is installed. With a hardwood installation, a moisture barrier helps maintain an even moisture balance in the floor. Seasonal gapping is quite normal but, in the fall, try to progressively turn on heat before the first cool day arrives. Also, it’s important for the hardwood floorboards in the floor to be laid perpendicular to the tubing, not parallel. The key to a good hardwood installation when combined with radiant heat is to pay close attention to the moisture. Low, even temperature distribution is the key to avoiding problems when radiant heat is involved.